There is no need of going back to the office to scan a document at the end of fieldwork. If your work mainly involves moving around and you need to update your office on the progress then this was a device designed for you. The lightweight scanner handles the soft copy professional documents to produce not only quality but also professional documents. In addition, it has third-party integration software to support document management services, thanks to the TWAIN technology. This battery-powered machine guarantees flexibility for it has no limitation on receipts, business cards and of course plain papers. The interface has an inbuilt text editor to run a search on PDF, edit, change the text format as well as add graphical functions on the scanned documents. Its portability state makes it the best, for you can virtually carry it around anyone and never feel the burden. Are you a busy and mobile corporate individual? This is a must-have device for you. 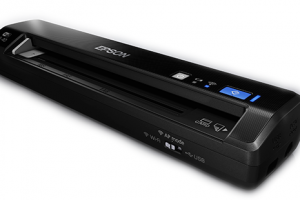 The scanning resolution of 600 dpi is the brain behind fast scanning speed and quality documents. 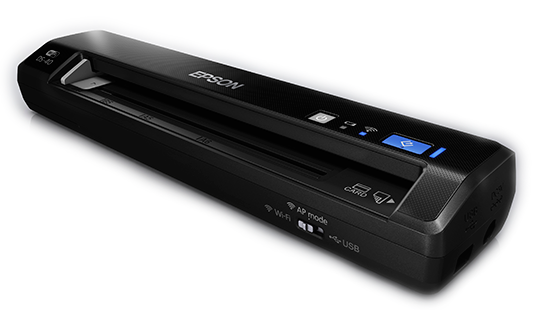 Epson WorkForce DS-40 Portable Scanner Driver is licensed as freeware for PC or laptop with Windows 32 bit and 64 bit operating system. It is in scanners category and is available to all software users as a free download.